Silk exudes elegance and sophistication at first glance. But what is it that makes silk so desirable? Is it the visual, attention-grabbing features – it’s shine and opulence? Is it the intricate way that it is manufactured? Is it the heritage dating back thousands of years? Is it purely the price tag? Whatever the reason, silk is a highly sought after commodity and consumers yearn for garments and soft furnishings made in silk. You might not realise, but silk can be made from many varieties of silkworm – and sometimes no worms at all (as you’ll discover in a minute)! Whatever the source, these moths and worms produce a protein “fibroin” that is the main element in silk. Different types of silkworm will create fabrics with different characteristics. Here’s a little look at what you can expect from three main varieties of silkworm… and a few others! Since it is a common kind of silk, acquiring it is easy. Countries such as China, Japan and Korea have an abundance of it in particular. One of the disadvantages of using this kind of silk is that it needs special care to maintain it’s smooth texture. It also is often obtained in an unethical way, by killing the silkworms in their cocoons to extract the long fibres. For more information on this, have a look at our article The Pros and Cons of Silk Production, which also includes information on vegetarian silks, or ‘Peace Silks’. Tussah silk is produced by tussah silkworms. Unlike other silks, this one has a distinct light golden to dark brown colour. This is a result of the tannin-rich leaves that tussah silkworms consume. Silk is said to be one of the strongest fibres around – and it’s certainly the case with these thicker tussahs and makes it an ideal material for couches, jackets and sweaters. Muga is akin to Tussah silk as the semi-domesticated silkworm Antheraea assamensis that produces it comes from the same family. Muga originates in India, and the silk it is known for its golden brown and glossy texture. Along with the Eri (below) and Pat silk, Muga silk is sometimes referred to as Assam silk, as fabrics produced from these silkworms were reserved for the exclusive use of royal families in Assam, India, for 600 years! Mega production is considered more eco-friendly as the silkworm does not require delicate care. This makes it an affordable silk type too. Muga’s porosity can sometimes become a disadvantage as it limits the use of bleach (which for us more eco-conscious types, is an advantage!) but also means that it can’t be dyed. Eri silk is derived from the domesticated silkworm Philosamia rinini. It is a fine silk that is almost as white in colour as the Bombyx mori (Mulberry Silk we talked about above). Even though Eri is spun from the cocoons of domesticated silkworms, it is a “peace silk” because the silk caterpillars are not destroyed in the cocoon but are allowed to emerge as moths and live a full lifecycle. Because the cocoons are damaged when the moth emerges, Eri silk is spun rather than reeled. 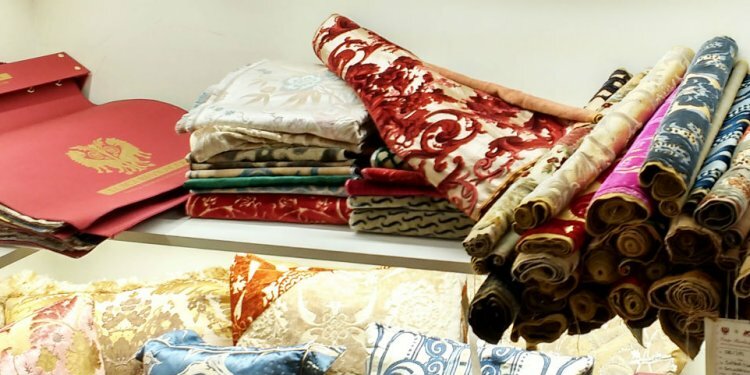 It usually has the matt appearance of wool or cotton, but the sheen and softness of silk and is commonly cultivated in India, Japan and China. Aside from the Bombyx mori, this is the only other silkworm that is completely domesticated – so it relies on human intervention to be developed. And just like the Bombyx Mori, the name “Eri” is said to derive from the Assamese word “Era”, which means castor plant – the food that the worms feed on. This is a very durable silk and makes a great material for clothing, and surprisingly, soft furnishings such as curtains and couches. The only drawback of using such silk is the fact that it is heavy to wash. It may also harbor microorganisms as it is easier for them to stick on its thicker layers.